This is a favorite fragrance among the bohemian crowd. It's earthy, warm and heavy, and a little woodsy. Created from the resin of an exotic plant, this strong fragrance is a best seller. (Also called Patchouli.) 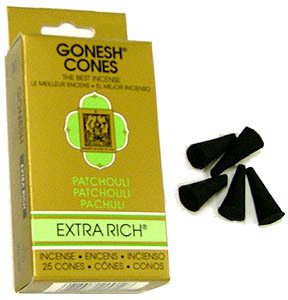 Package contains 25 cones of high quality charcoal incense. Cones are small nuggets of incense.